Muppets Most Wanted font here refers to the font used in the poster of Muppets Most Wanted, which is a 2014 American musical comedy caper movie produced by Walt Disney Pictures and Mandeville Films. In the movie, the Muppets find themselves unwittingly involved in an international crime caper while on tour in Europe. 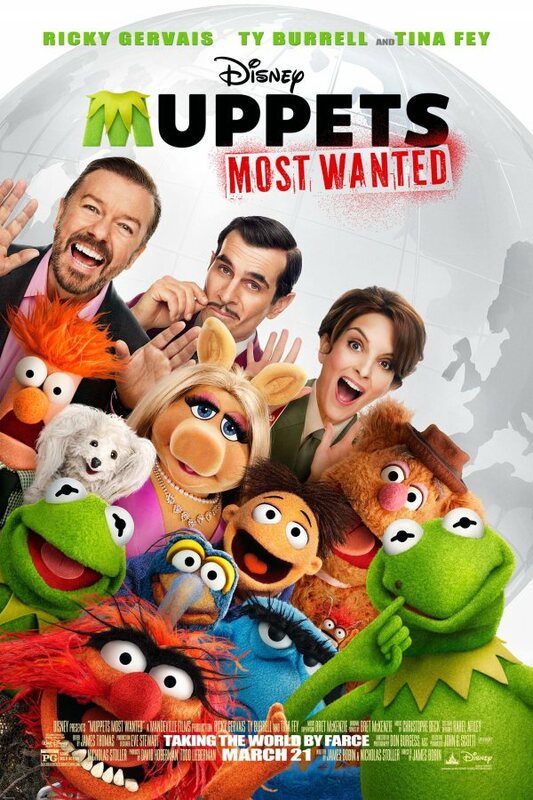 Two fonts have been used for the movie title in the poster: The “MUPPETS” part is probably set in Futura while the font for “MOST WANTED” is probably Fuel Pro. Designed by Greek type designer Panos Vassiliou, Fuel is a grunge sans serif typeface that was inspired by the rough surroundings of a modern city and reflects the contradicting nature of an emerging global youth culture. You can read more details about it here. The Fuel Pro font identified above is not available for free, please follow the link above and purchase the font. Meanwhile, you can take a look at our collection of fonts for cars, pop music and apparel as well as round-ups of new & fresh fonts around the web. In addition to Muppets Most Wanted, It seems we can’t find other examples (logos, movie posters, album covers etc.) of Fuel Pro typeface in use.